In this tutorial, I will show you how to apply a fusion/fade effect between two images with photoshop. 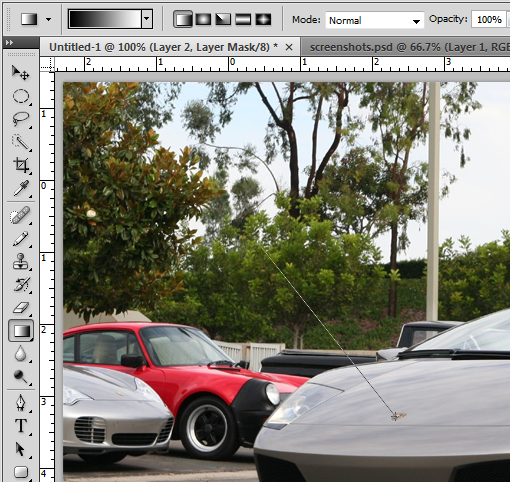 First create a 780px * 496px photoshop document. 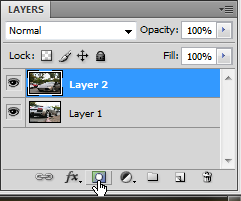 Copy the images in two different layers. 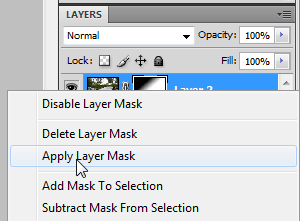 Add a Layer Mask on the first image.